"The tremendous success of One Strange Rock is a testament to the power of innovative storytelling and an exceptional creative team," said Courteney Monroe, CEO of National Geographic Global Networks. 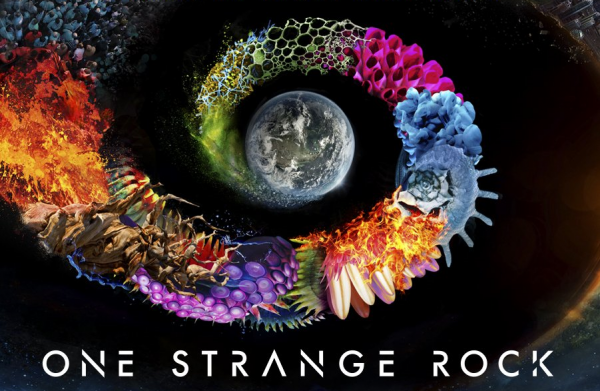 "With the creative vision of Darren Aronofsky and the expertise of Jane Root and Nutopia, One Strange Rock stretches the traditional boundaries of science and natural history programming. It takes viewers on a breathtaking visual adventure that not only entertains, but also amazes and surprises." "There’s just so much more to tell, and to be able to continue the epic story of One Strange Rock is incredibly thrilling," said Root. "We set out to make science and the world relevant to viewers, and with the creative talents of Darren and his team, we did just that — in this epic and visually stunning journey." 81 million people worldwide have watched One Strange Rock, making it the channel's fourth-most-watched series globally. Encores of the series air Sunday nights on Fox. Season two of One Strange Rock is scheduled to begin filming in February; a premiere date hasn't been set.